In complex software projects, managing the development process can be as critical to success as writing the code itself. A project may involve dozens of developers, managers, architects, testers, and customers, hundreds of builds, and thousands of opportunities to get off-track. To keep tabs on the people, tasks, and components of a medium- to large-scale project, most teams use a development system that allows for easy monitoring, follow-up, and accountability. Microsoft Team Foundation Server 2008 (TFS), the server component of Microsoft's Visual Studio Team System (VSTS), provides a powerful collaborative platform for software-development teams. The product offers an integrated toolset for tracking work items, creating test cases, managing source code, generating builds, constructing database schemas, and so on. Because in software development one size does not fit all, TFS provides process customization, project management, and reporting capabilities to build solutions around your requirements. Team Foundation Server 2008 in Action is a hands-on guide to Team Foundation Server 2008. Written for developers with a good handle on TFS basics, this book shows you how to solve real-life problems. It's not a repetition of Microsoft's product documentation. 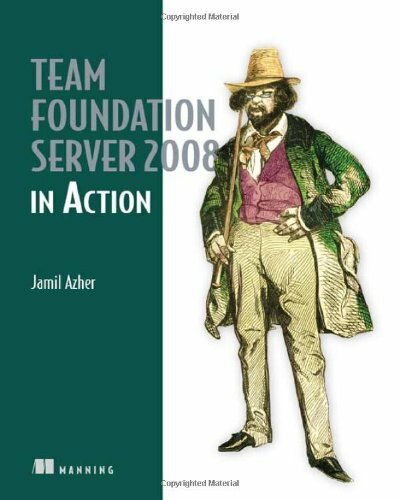 Team Foundation Server 2008 in Action is a practitioner's handbook for how to work with TFS under common constraints. This book walks you through real-life software engineering problems based on hundreds of hours of TFS experience. You'll benefit from expert author Jamil Azher's extensive interactions with members of Microsoft's TFS team and MVPs, survey feedback from the author's blog, and interviews with organizations and user groups using TFS. Instead of just offering a high-level overview, the book provides detailed solutions for solving common-and not-so-common-problems using TFS. It discusses the strengths as well as weaknesses of TFS, and suggests appropriate problem resolution steps, workarounds, or custom solutions. If you have any questions about this product by Brand: Manning Publications, contact us by completing and submitting the form below. If you are looking for a specif part number, please include it with your message.